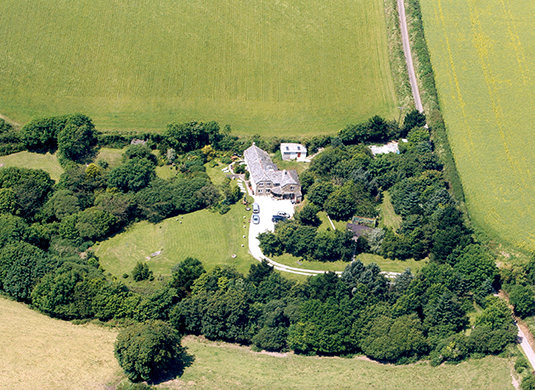 To check availability or to book please contact Katherine on 0844 656 0522 or Trevor on 07738311741 and also e-mail mailto: holiday@blanches.co.uk Blanches Windsor is set in a private sheltered position above the breathtaking South Cornwall coast in 2.5 acres of gardens and lawns with panoramic sea and country views. You can walk down a beautiful valley to the South-West coastal path and its spectacular beaches, explore the delightful hamlet of Lansallos, take the ferry to the vibrant town of Fowey for restaurants and sailing or stroll around the old fishing village of Polperro just two miles away. Blanches Windsor sleeps nine. 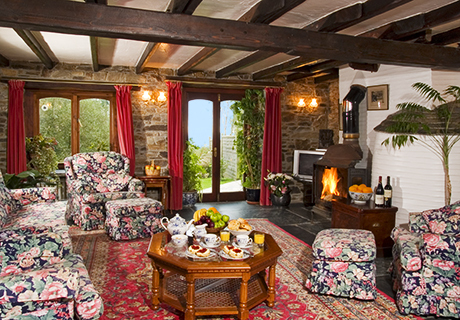 It is comfortably furnished with wood burning stoves – logs supplied – and free wireless broadband. For large gatherings you can accommodate a further five people next door in Meadow, the original cottage. Bring your dogs for some great walking. A Cream Tea completes the welcome. Windsor is entered through a solid Gothic door, giving access to a wide hall with a huge woodburner. 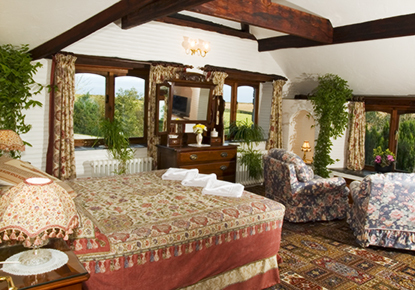 Delabole slate floors, vast exposed timber beams, spacious reception rooms and high vaulted ceilings give just a touch of baronial splendour. Click Cottage Information tab for detail. Blanches is everyone's dream - the classic coastal residence - sea views, situated on its own, down a track, between the single lane coast road and the sea and near the delightful hamlet of Lansallos. From the garden, just walk down through meadows of wild flowers (top view) to an almost private cove and West to other NT dog friendly beaches.